A secret service agent stood at the front of the door to the Oval Office, explaining to a group of students that they would only have five minutes to escape the room – or else fail. 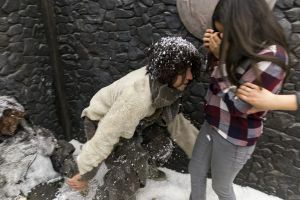 HBO welcomed students back from spring break with “HBO: The Escape,” an escape room experience that students could sign up for free online. 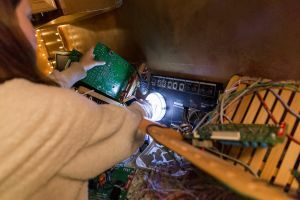 The television network brought three escape rooms to Collins Court in the John Wooden Center from 11 a.m. to 9 p.m. Monday, each themed around the HBO shows “Veep,” “Silicon Valley” and “Game of Thrones.” Students had five minutes in each room to solve a series of puzzles and clues in order to escape. The event was the final stop in the escape room’s college tour that started at the University of Connecticut in November and briefly stopped by the South by Southwest film festival in Austin, Texas. 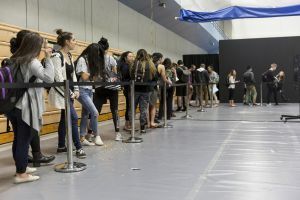 Students waited in line to take photos sitting on the Iron Throne from “Game of Thrones,” play life-sized Jenga, Connect Four and other games or pick up free T-shirts and other merchandise of their favorite HBO series. But the centerpiece of the event was the three escape rooms. The first room, based on the show “Veep,” was set in the Oval Office. Students started the five minute timer by reading a speech off of a teleprompter while sitting at the president’s desk. Clues in the speech indicated students needed to search through the Oval Office for a key to a box of ballots that needed to be counted. When the right key was found and the box was opened, the ballots were thrown all over the room by a blast of air. The ballots, once counted, revealed a code for a lock that opened the door to the next room. Next, the students entered the office of Pied Piper, the company formed by the characters on “Silicon Valley.” A message from Jared, one of the Pied Piper employees, read that the team needed to find components to fix a broken server. 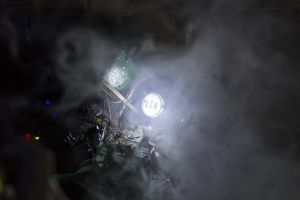 A power outage shut off the lights in the room, which revealed hidden black-light messages with the code to the next room. 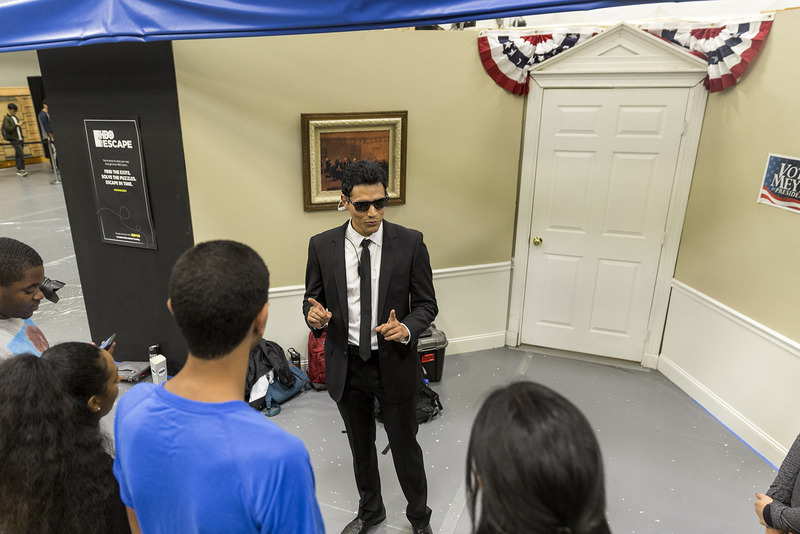 A secret service member stands outside the entrance to the first escape room based on the HBO show "Veep." HBO's escape room experience starts off by reading an address to the nation in the Oval Office. After being assembled, the computer caused a power outage and filled the "Silicon Valley" room with smoke. Fourth-year international development studies student Satya Noble Bartlett is startled by a live actor playing a "Game of Thrones" wildling. Bartlett (left) and second-year English student Mackie Lorkis (right) build a puzzle to unlock the final door. Students wait in line to take a photo on the Iron Throne. 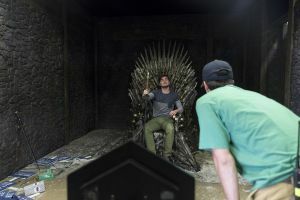 After the wait, students could sit on a replica of the Iron Throne from "Game of Thrones" and get their photo taken with a variety of props such as swords and crowns. The final room was set in Castle Black from “Game of Thrones” where teams had to find pieces to a map hidden under the snow around the room. One piece was hidden by a pile of dead bodies, where a live actor, hidden among the fake corpses, jumped out to scare anyone that came near. 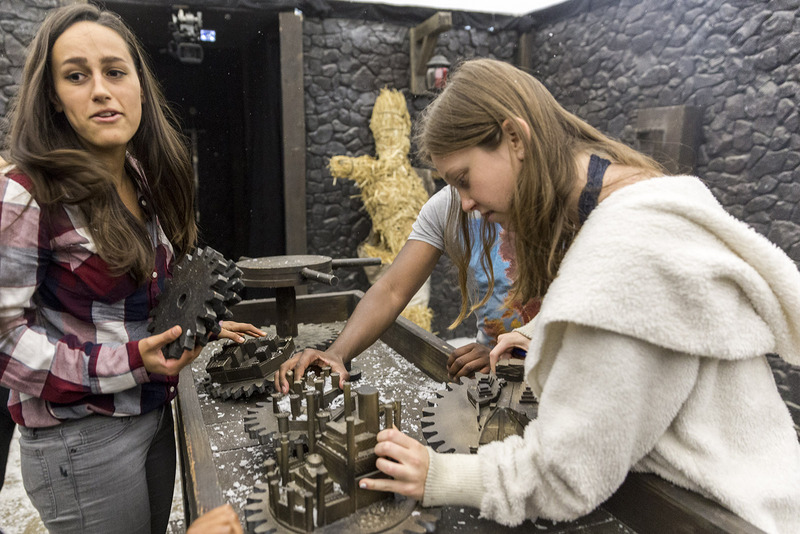 The pieces, once assembled, acted as gears for a makeshift crank that opened the door revealing the Iron Throne and the end of the escape rooms. 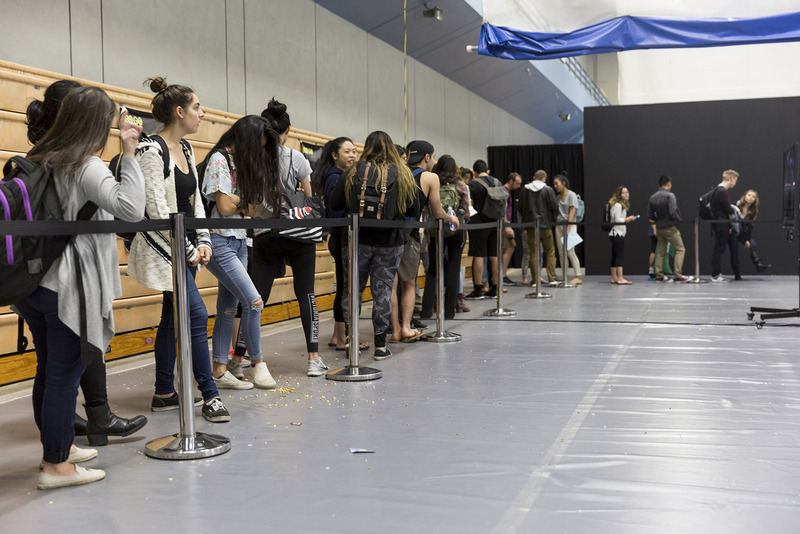 Collins Court remained full for most of the day, with a line that went out the door for students waiting for the Iron Throne, and a waitlist for students who did not sign up via Eventbrite before it sold out by March 28. The idea for the event began as a part of HBO’s college ambassador program that aims to put on events for college students. The escape room was meant to reach out and engage the college community, said Rebecca Shafer, a member of the publicity team for the event. 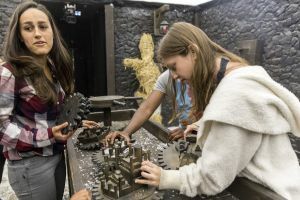 From ideation to completion of building it, the escape rooms took about two months to make, said Ilana Dell, a member of the event’s brand marketing team. “There was more complexity than I initially expected with the problem solving, and I enjoyed how we all contributed to finding the solution,” Beshay said.